It’s rare indeed that anything on this site can hold a candle to the weighty, erudite pronouncements of the Bible of Open Water Swimmers – Loneswimmer.com. Today, however, we are of one mind, on the one page – twins, like. Today’s Loneswimmering pronouncements from the mountaintops (or sea-caves, or somewhere biblical) concern the Surf Fur Parka and their Rebelish status . 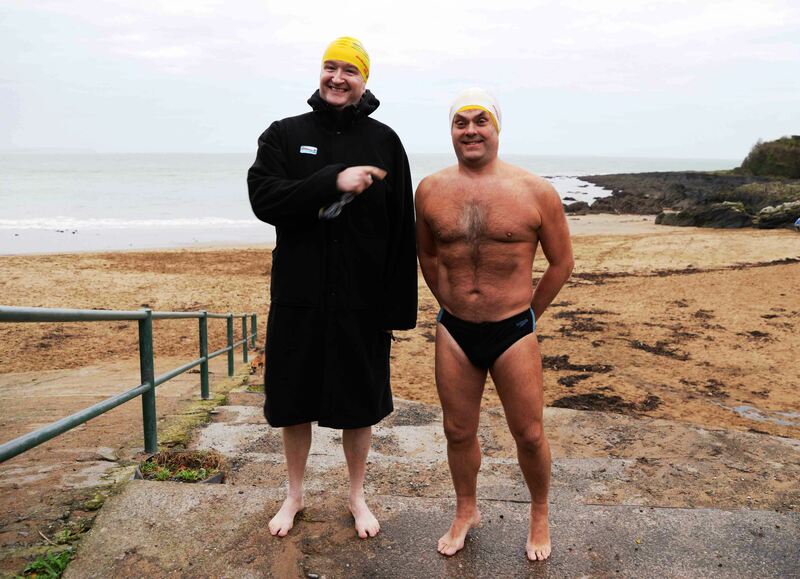 Brother Donal of the Sea declaims that those who wear the Parka are blessed amongst swimmers and eons beyond the Bronze Age neanderthals in their Speedos and non-Parkas. And behold, there came onto the beach at Myrtleville disciples of both creeds – which cult would you rather join on the 1st of December? Brother Damo and Bronze Age Bernie – how cool is that Surf Fur? How cold is that guy in the Speedos?